After the cold snap just before the weekend we wondered what numbers would be like, Temperatures had plummeted outside, but several of our hibernation sites had also fallen below zero ( though we take temperatures at ground level, and it might be warmer higher up and in the cracks most bats squeeze themselves into. 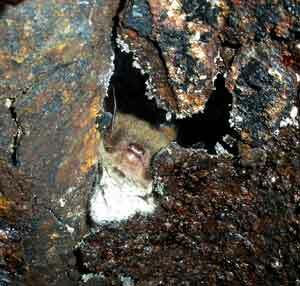 In all we found 127 bats, which is our highest total for a February hibernation check. The usual suspects were present, brown long eared bats,. Daubenton’s, Natterer’s and Barbastelles. It is very hard to identify bats when they cram themselves into crevices and we had a moment’s excitement when Martin spotted a bat in an inaccessible crack. For a while we thought we might have a whiskered/Alcathoe/Brandt. Martin took a photo and when we looked at this on screen we realised it was in fact a Daubenton’s bat who was holding its ear at an odd angle. Ah well there is always next year. 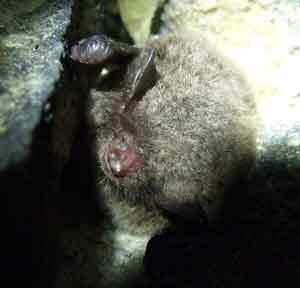 In one of the sites we found this bat which was easier to identify , a brown long eared with ice on its fur. 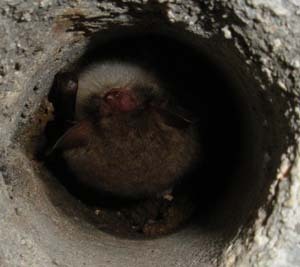 Natterer’s are very good at wedging themselves into small spaces. That’s hibernation checking over for this winter. Now we eagerly await the day when they will revive and we can spot them flying about in the evenings. Please note these hibernation surveys were carried out under the supervision of licenced bat workers with hibernation licences. Each site may only be visited 3 times in a year.. 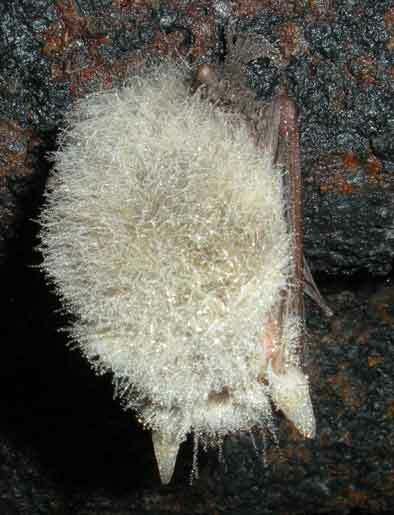 It is illegal to disturb hibernating bats – and can lead to their deaths as it may cause them to revive early and a prolonged visit will cause a rise in ambient temperature. We visit our sites in December, January and February. The data we collect if forwarded to the Bat Conservation Trust’s National Bat Monitoring programme. 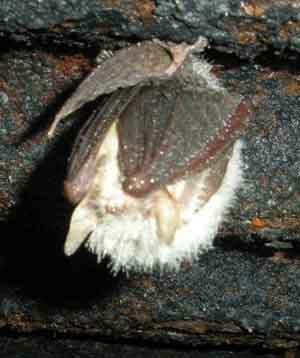 This entry was posted in Uncategorized and tagged bat photos, brown long eared bat, hibernation, Natterer's, records. Bookmark the permalink.